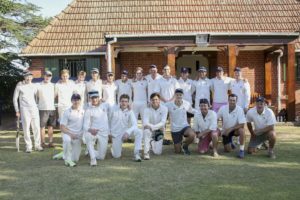 On Saturday 24 November, the St Andrew’s College First team cricket side faced the Old Andreans team in their annual reunion fixture. 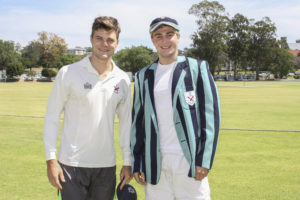 The St Andrew’s (SAC) batsmen had an indifferent day versus a fired up Old Andreans (OA) eleven.  Callum Francis batted well for St Andrew’s, but ran out of partners in their innings. Francis was in fine form with his 83 coming off just 79 balls. 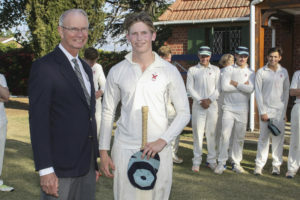 Murray Leith (OA) halted the College innings with his spell of 3/12. SAC posted 175 which was not enough on the day versus the determined OA captain, Andrew Rushmere. Rushmere saw his team home with a gutsy 97 not out and secured a much needed 6 wicket win for the OA’s who had been aggravated by their losses in recent times. Francis was awarded the traditional OA bat for the player of the day, by OA President Chris Terry. Later that evening during the annual cricket dinner Rushmere was announced as the OA player of the day. The St Andrew’s College and Old Andreans cricket teams after their exhibition match. Old Andrean President Chris Terry awards the Old Andrean bat for the College Player of the Day to Callum Francis. Old Andrean captain Andrew Rushmere (left) and St Andrew’s College captain Peter Jarvis.